Where Pharmacies Save Every Day! 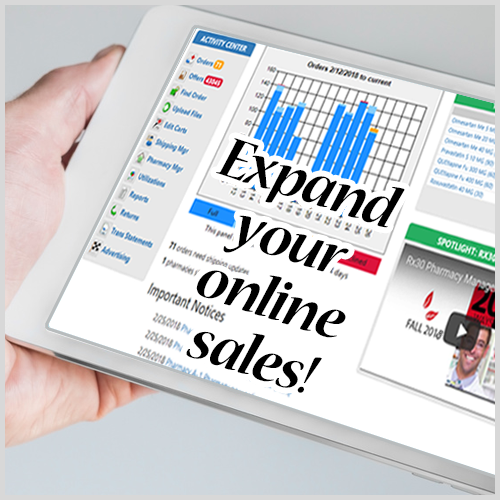 VAWD accredited wholesalers - Are you looking to expand your online sales? Within days of joining, your organization can start selling prescription drugs to qualified pharmacies throughout the US. It's simple to get started. Call us at 516-374-0920 Monday to Friday, 9am to 5pm Eastern Time and talk with one of our friendly customer service representatives. They will get your company registered right away! After approval you can upload your drug inventory to PharmSaver.net via a simple to implement web service or FTP file transfer. Of course, we also support EDI AS2, X12, flat files, Excel and a bunch more formats. Our technical people will get with your IT staff and work through all of the details. Once we have your inventory uploaded, you can set pricing and shipping information and approve pharmacies for online purchase. All pharmacies are screened for a valid State Pharmacy License, a copy of a State Controlled Business License and a DEA License. We also confirm the pharmacy's physical business location and shipping address. You control the pricing for all items in your inventory. After a pharmacy orders drugs from your company, you will be sent an order notification via email, file transfer or web service. You then tell us which items you are able to ship. You ship the product and bill the pharmacy directly. We do not collect funds from the purchasing pharmacy. We get paid for items that you sell through PharmSaver, or if a PharmSaver client orders directly through you, or when you place advertising with us. Interested? Please call us at 516-374-0920 to get started today!